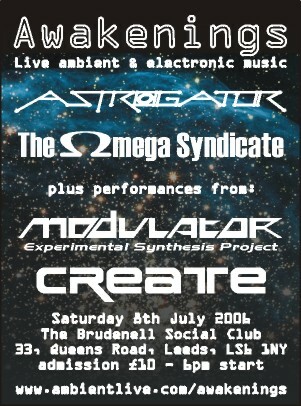 Create will be performing live at the Brudenell Social Club in Leeds on 12th August 2005 as part of the Awakenings, supporting The Glimmer Room. 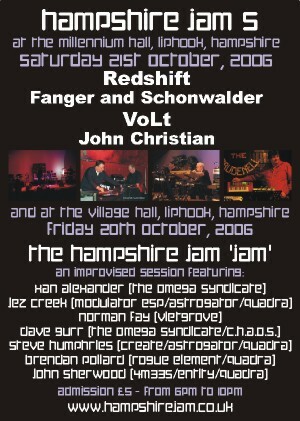 Jez Creek will be joining Steve onstage to perform as Astrogator for the encore of the Create set. 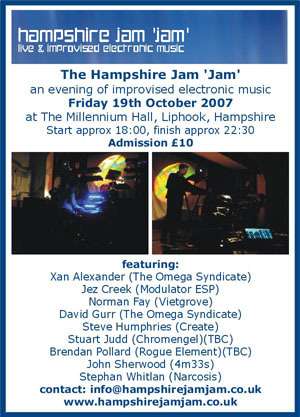 Create will be performing live at E-Live in Eindhoven, Holland on 15th October 2005. The E-Live gig will only be Steve’s third ever-live performance. 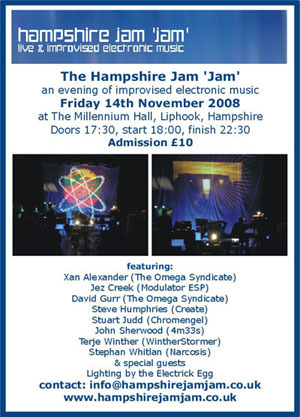 In fact ihe only visited the festival for the first time last year as an audience member and to think that one year on he will actually be playing on the main stage is just fantastic. 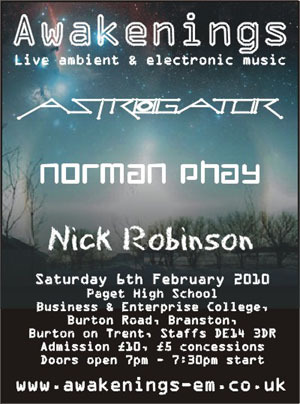 The music will be all new material prepared especially for the concert. 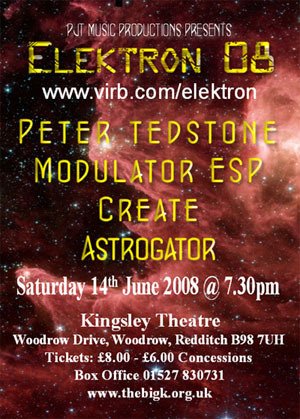 Jez Creek will be joining Steve onstage to perform as Astrogator for the encore of the Create set. 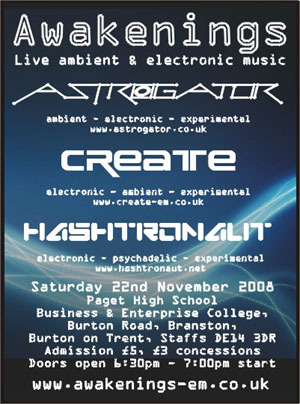 Steve and Jez will be performing live as Astrogator at the Brudenell Social Club in Leeds on 2nd December 2005 as part of the Awakenings.